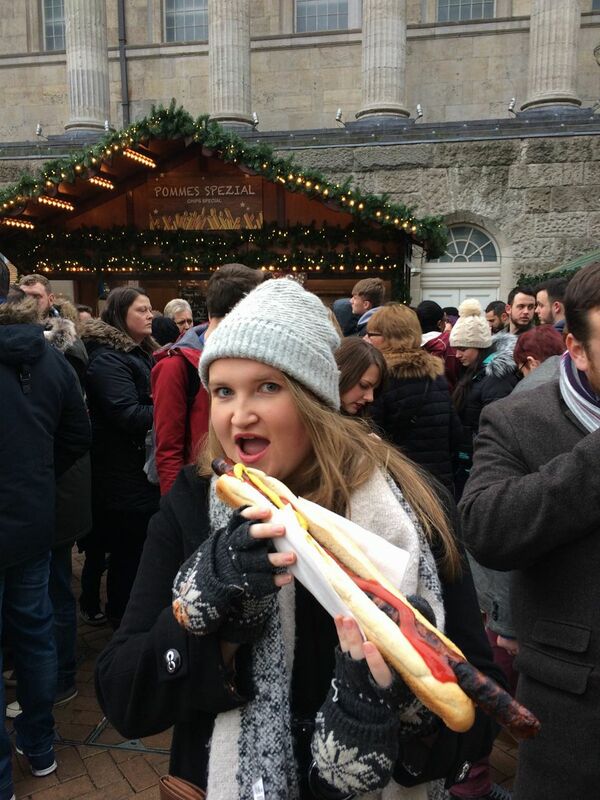 Birmingham Christmas Markets – Where's Clair? 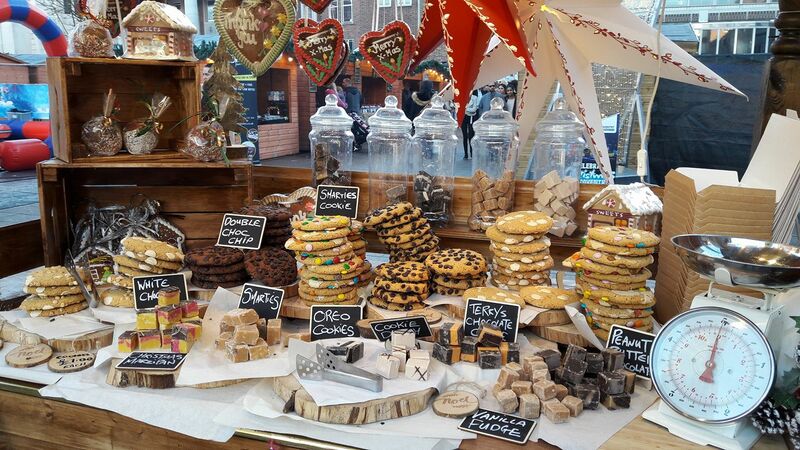 Ah the German Christmas Market – An annual tradition and source of festive crafts and edible treats. All around Europe similar markets have popped up and while they are all a sight to behold, getting there isn’t cheap. This year my family and I found a budget version of a German Christmas Market just across the Water in Birmingham, UK. The Birmingham markets advertise as the “Biggest German markets outside of Germany” so you can’t really go wrong. A short flight from Dublin and an even shorter train journey left us smack bang in the middle of the festive markets, close to the Massive Bullring Shopping Centre. We dove straight in, passing stands selling delicate Christmas tree decorations and handmade wooden houses. I stopped to buy a comfy purple knitted bobble hat for only £5. As we moved deeper into the markets our attentions drew to more important stuff and hunger began to kick in. It’s possible that I took the old phrase “Eat Drink and Be Merry” a little too far, because for the rest of my time in the markets I was primarily concerned with feeding myself. The warming smells of grilling meat filled the air and we were overwhelmed by the selection of schnitzel, ham and Belgian fries. One thing stood out for me and once I had seen it I couldn’t un-see it. I absolutely HAD to have a ½ metre Bratwurst and I couldn’t rest until I had one! I’m not a complete animal though, so I shared it with my other half and it was absolutely delicious! Next we need to wash it down and between us we tried a selection of beers, gluhwein and hot chocolates, with me choosing a hot chocolate with Baileys, topped with whipped cream. I think I could possibly have been in food Heaven, and that is a big statement coming from me! Dessert was a homemade doughnut with an after eight flavour covered in mint icing and filled with gooey chocolate. YUM! All this food had me stuffed and I couldn’t possibly have tried all of the other delicacies available, such as roasted chestnuts, warm pretzels, churros with hot chocolate sauce, freshly baked cookies……. You see where I’m going here! We made our way into the bustling crowd and enjoyed the Christmas tunes coming live from the main stage. The Birmingham Christmas Markets were a fab family day out and a fantastic alternative to travelling further afield!